Google's cloud gaming service, Stadia, will launch later this year and support 4K game streams. 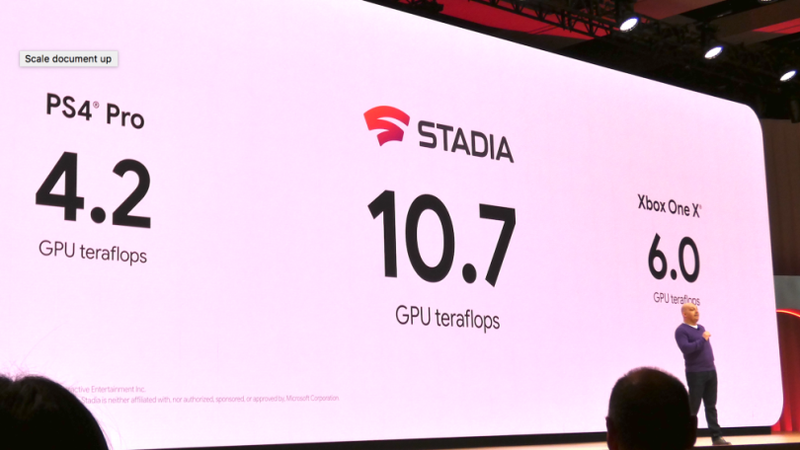 Stadia will run on a custom chip from AMD, which has the combined computing power of a Sony Playstation 4 and an Xbox One, Google said at GDC. It will allow Google's data centers around the world to stream 4K gaming content at 60 frames per second, with HDR and surround sound over any hardware -- smartphone, tablet, Chromecast-enabled TV, or PC. All you'll need is access to the Chrome browser and a steady internet connection. 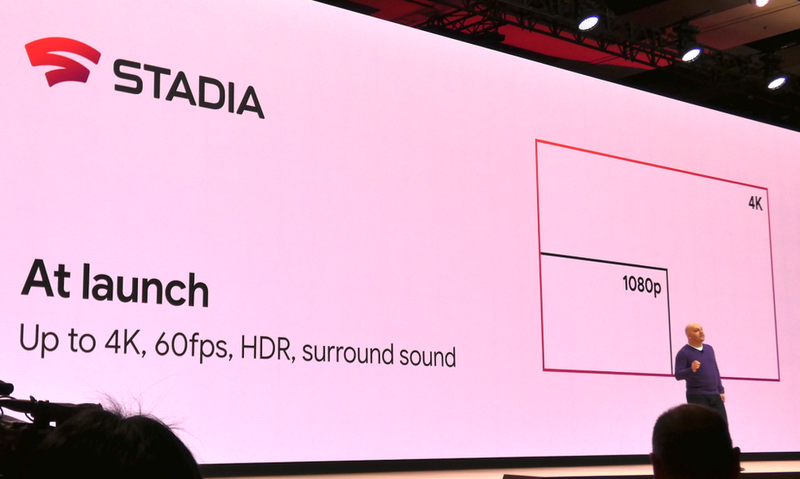 In the future, Stadia will also be to stream games at 8K resolutions and at 120 frames per second. Google's cloud gaming service aims to make YouTube the centerpiece for accessing and sharing game streaming content. For instance, game developers will be able to post links to games in YouTube videos; those who click will be able to immediately play the game in the Chrome browser. "Stadia is about removing barriers for players to get to their favorites contents and moments," said Google VP Phil Harrison. "With Stadia, any link can be access to the game." Google did not announce a specific launch date or pricing. 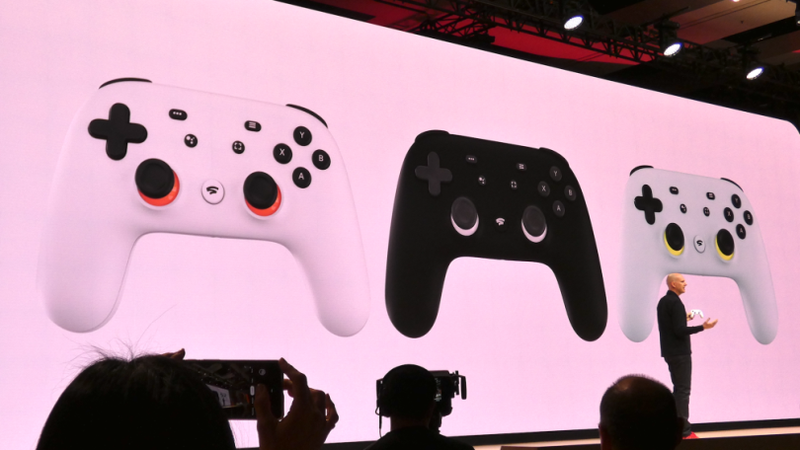 But it did unveil a Wi-Fi-connected controller for Stadia. It looks like a standard gaming controller, but features two additional buttons: One that can let you share your gaming sessions to YouTube and another to ask the Google Assistant for tips. The controller will also be smart enough to tell which hardware should start streaming your game. Google was also mum on Stadia's complete game lineup, though the upcoming Doom Eternal first-person shooter will be available in 4K. We tried Stadia last October, when it was known as Project Stream, and came away impressed. The service let us play the latest Assassin's Creed game in 1080p via Chrome on old Windows laptop with mostly no lag and quick load times. The only requirement was a 25Mbps internet connection. Google won't be alone in the cloud gaming space. Microsoft is slated to talk up its own offering, Project xCloud, later this week at GDC. Other players include Nvidia, Sony, and Valve's Steam. However, Google's announcement will surely draw the attention of game developers, who are looking to reach a potentially wider audience. Stadia will first launch in the US, UK, Canada, and Europe. Google will announce more details about the cloud gaming service later this summer.